A 34-year-old man had to be hospitalized after eating the world’s hottest pepper, the Carolina reaper, as part of a contest in upstate New York. And it has caused the super-hot vegetable’s creator to defend his pepper and question the judgement of the man who ate it, as he reportedly bit into the pepper directly rather than preparing it properly, according to reports. The case was detailed in a recent report by the British Medical Journal, and it states that the man bit into a Carolina reaper directly as part of a 2016 chili eating contest, an act that ended up requiring his hospitalization. Salvatore Genovese, who created the pepper and grows it on his British farm, said that the pepper should never be eaten raw and rather should be infused into dishes like curries. 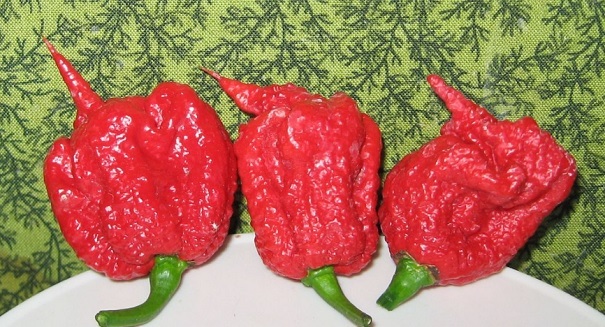 He pointed out in an interview with Sky News that he has sold around a half million Carolina reapers in the last two years or so, and he has not heard of any cases of people being hospitalized or even complaining about it.